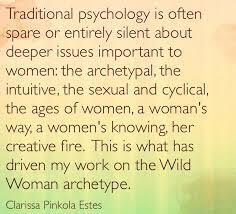 Welcome to the first post at Wild Women Wisdom! Look to this blog two to three times a week for posts on everyday life wisdom and how to know the soul through such daily ups and downs. I will use this blog to present accessible information about how our inner-life and rhythms are both our own, and at once connected to the larger cycles of life and of Nature’s tides. Let’s begin with a talk about symbols. A symbol, according to the online site Free Dictionary, is “something that represents something else by association, resemblance, or convention, especially a material object used to represent something invisible.” In soul work we look to symbols to understand the greater messages coming from the inside us. The idea that the soul is invisible is a good starting place. The soul, though unseen, is often felt. A great indicator to know your soul better is to start with those symbols that really make you react, no matter what that reaction is. This is because the soul speaks through feelings, sensations, and those out of the blue insights we get that some people call intuition. For me, one of the most meaningful experiences of soul-life is getting out in nature. This is where I learn the most about symbols. For example, I love the sun. LOVE THE SUN, so that I often refer to myself as a sun-head. To study the sun as a symbol is really fascinating. In my own life it helps me understand how important light is to me, and growth, as these are two of the most important functions the sun provides. This is the truth about my innermost self, too: it took me years to understand that when I am in the dark–meaning when I am confused or especially uncertain, like times when I have to make a big decision–I get disgruntled. I don’t do well. I also don’t do well in circumstances where I stagnate, or am not challenged. Get it? I don’t do well if I can’t grow. Symbols show up all around. In music, in dreams, on TV. Being outside is the place where they help us understand the rhythmic part of their Nature. By rhythm I mean the regular changes or shifts in something that is the same. It’s a big idea, that change can be the same. And yet seeing the sun or the ocean, another one of my favorite living symbols, teaches us just that. That there is continuation and regularity in change. It helps me understand that my nature and Nature are quiet similar.